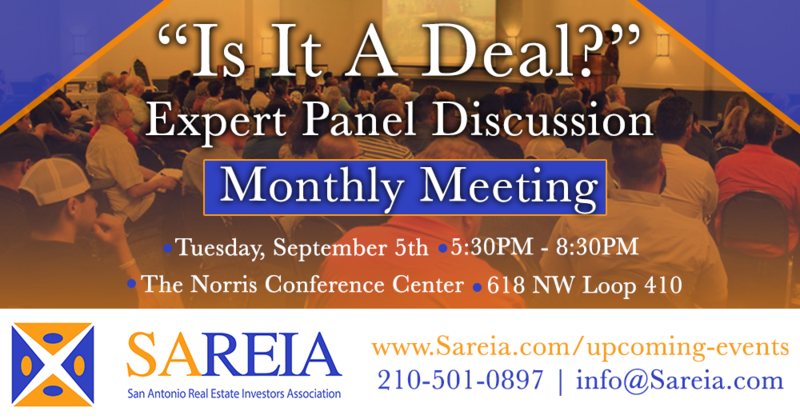 San Antonio Real Estate Investors Association - Monthly Meeting - "Is It a Deal? : Wholesaling in San Antonio"
Monthly Meeting - "Is It a Deal? : Wholesaling in San Antonio"
Please join us as we discuss what makes a good investment deal in San Antonio with local investing experts who are actually investing in our market. We will discuss investing strategies, resell, flipping, wholesale, staging, contractors, and much more!